While I’m writing this essay, on a weekend in between drafts, Nicole and I pack up our three kids and go to visit her parents at their boat house overlooking Lake Pontchartrain. It’s the day before my father-in-law’s birthday, so I’m carrying his presents in each hand as we walk up the stairs to the main room. I’m focusing on the stairs in front of me. I have everything balanced and don’t want to trip. I forget about the low overhead clearance of the ceiling before the landing, that it’s low enough that I should duck. I fail to duck, and bang the top of my head hard into the ceiling. “Not again,” I think, angry at myself, stunned, dizzy, trying to get out of the way as my two boys and little girl push past me up the stairs. A high-pitched whine, like a fine-tuned turbo engine, fills my ears. A gray curtain drops in front of my vision. Four days later, when I’m adding this intro to this essay, the headache won’t have stopped, the unsuccessful search for easy words will continue, and I’ll still have a stumble to my step. On March 2, 2012, the National Football League announced it was investigating New Orleans Saints officials and defensive players for operating a system of bounties, pooling money and giving cash awards for deliberate hard hits on opposing players, hits that often resulted in the opposing player leaving the game. As a result of that investigation, two months later the NFL suspended four Saints defensive players: defensive captain Jonathan Vilma for one full year, Anthony Hargrove for eight games, Will Smith for four games, and Scott Fujita for three games. Vilma filed a federal lawsuit to fight against his suspension two weeks later, followed soon by a suit brought on behalf of the three other players by the NFL Players Association. The first meaningful skirmish in the litigation took place on the morning of July 26, 2012 in U.S. District Judge Helen Berrigan’s courtroom in the imposing brutalist federal courthouse on Poydras Street in downtown New Orleans. Vilma was there with three of his attorneys, including Peter Ginsburg, stick-thin and hatchet-faced under thinning gray hair; and Duke Williams, a big man, built like he may have been a football player himself once. The League had a representative down from the executive offices in New York, along with five attorneys from New Orleans and Washington. The Players Association and the other three suspended players added three more attorneys to the room. They were all gathered for Judge Berrigan to take evidence and hear testimony on behalf of Vilma, who had requested a temporary restraining order to lift his suspension and allow him to go to Saints training camp—commenced that same day in the heat and humidity of the Saints’ practice facility in suburban Metairie, Louisiana—while the legal issues were pending. To win his temporary restraining order, Vilma would have to prove a “likelihood of success on the merits” of his case. While there were esoteric legal issues involving the Collective Bargaining Agreement and principles of labor law, on the facts Vilma would have to show Judge Berrigan that it was likely he could prove he did not offer stacks of cash during defensive meetings for the players to take out Kurt Warner or Brett Favre or other opposing players, that he and the Saints defense only engaged in legal tackling under the rules of the game, that even legal tackles could be “big hits,” and that injuries suffered by opponents were just part of the game and not the result of a nefarious bounty scheme. The public had a chance to see much of the League’s evidence during releases of documents and affidavits from the investigation, and the players had, as the Alabama country folks I grew up around liked to say, a heap of ‘splaining to do. I was in the courtroom that day for my job, but I had personal thoughts on the day’s issues, as well. While I was a huge Saints fan, going into that hearing I was pissed at Vilma and the other players and coaches. To me, the released documents showed them to be a bunch of entitled athletes celebrating hurting people, then saying anything to try to get away with it. In team meetings, they’d shared pictures of the opposing quarterbacks they’d left crumpled on the field, exhorted each other to “destroy each quarterback” and “kill the head,” awarded money for “cart-offs” and “knock-outs,” and promised to pay for any fines levied by the League. In public, they acted flabbergasted that the League executives would get upset at them for “just playing the game.” Boys would be boys, and what’s the harm? It felt like high school writ large, the football players out smashing mailboxes on a Friday night for laughs and no consequences. I had my first diagnosed concussion when I was nine. I was in fourth grade. I was playing “chase” at recess. I don’t recall if I was the pursuer or being pursued, but the pursuit had taken us around the playground equipment. This was in 1981, when playgrounds were still all metal and rust and sharp edges and hard ground, before today’s rounded corners and plastics and “play surfaces.” We ran at full speed around the merry-go-round. Trying to be clever, we changed directions several times in mid-orbit so that the chase might collapse on itself. I remember running fast in one direction, the merry-go-round full of laughing kids rotating the other way. I remember the feeling of air rushing past me, and exhilaration. I remember turning my head to look behind me. I remember the sudden collision with a friend as I faced forward again. I remember the breath being knocked out of me. I remember falling sideways toward the merry-go-round, flailing my arms out. I remember my head making contact with the edge of the rotating metal platform, just behind my left ear. I don’t remember anything else until five or six hours later, when my mom got home from work and woke me up. I was lying on top of my bed. I’d apparently gotten up from my fall, gone back into class when recess was over, finished the school day, ridden my bike a little more than a mile home, let myself into the house, and laid down on my bed and passed out. My mom took me to the emergency room and I got my first concussion diagnosis. In those days, that came from nothing more than a penlight shined in my eyes and resulted only in advice to my Mom to “keep an eye on him the next few days” and an admonition to me to “watch where you’re going, young man.” No CT scans or MRIs. No medications or orders of bed-rest. The main strategy for Vilma’s case against the League was, in large part, to demonstrate that football is inherently a rough game. His attorneys wanted to drive home the point that defensive players engage in violent contact as a routine part of the game, and that it would be preposterous to suppose that defensive players would be able to control their hits to differentiate them from the routine to such a degree as to underlie a bounty system, that such a bounty scheme would be neither necessary nor feasible. After Vilma testified for an hour, his attorneys called up a succession of current and retired Saints defensive players. First up was Troy Evans, for several years the Saints’ special teams captain and a back-up linebacker who had played with Vilma before retiring and starting a school bus company back home in Ohio. Evans was a solid block of a man, full of right angles, blonde hair spiked up over a square-jawed face. “You and your teammates are expected to deliver big hits. That’s your job, isn’t it?” Judge Berrigan watched Evans intently as he answered Ginsburg’s questions. “Absolutely. Just euphoric, natural, celebratory—it’s part of the game. Hard hits just kind of—it’s like slapping the table in this room.” Evans slapped his hand hard on the small table in the witness box. “Everybody would jump.” Sitting at one of counsel tables, I flinched. I didn’t play football as a kid. I played soccer. I played it for twenty-two years, from ages five through twenty-seven. In Selma, Alabama, of all places, we had a thriving league operated by the local YMCA, with two three-month-long seasons each year, one in the spring and one in the fall, and a traveling team of all-stars in several different age groups that traveled throughout the South. I played in the Y league from five until fifteen, and was on the traveling team beginning when I was ten. We weren’t the typical jocks in town. Instead, we were largely an odd collection of speedy and spirited misfits whose coaches ran us and trained us until we were resilient and smart about the game in ways you wouldn’t expect kids from Selma to be. My next three diagnosed concussions were from soccer. It wouldn’t sound so bad to say that I had three concussions in twenty-two years of soccer, but in reality those three concussions came in a four-year span starting when I was twelve. The first one was at an all-star game in Montgomery. An aggressive player from a Montgomery squad and I were in the air challenging for a head ball. I got the ball, and he got my head. I remember a few minutes later that I was on the sideline, vomiting, but telling my coach to put me back in. I don’t remember the space in between, or the ride home to Selma after. The second soccer concussion was the next year. Kicked in the head. The third one came two years later. It was the consolation game in the final round of the state tournament. We were fighting for third place, and the game was close. It had been raining all weekend and the field was a mess. The opposing team lined up for a corner kick. I was guarding the back post. The corner kick sailed into the box past our keeper. An opposing player settled the ball to the ground, then kicked it toward the back post. There was no way our keeper would be able to cross the mouth of the goal to make the save. I left my feet, launched so that I would intersect the ball’s trajectory. I’d like to think I headed the ball clear and that we won the game, securing third place in the state, before I hit the side goal post. But if I’m being honest and not just relating the myth of me, I can’t really tell you what happened in that game, other than that I hit the side goal post with my head. I have no idea if I saved the ball, or if we won the game. No idea. Vilma’s next witness was Randall Gay. Gay grew up an under-sized but highly recruited all-around player from the small town of Brusly, Louisiana. He’d been a star defensive back on LSU’s 2003 national championship team. He made the New England Patriots as an undrafted free agent, and was a member of the 2004 Super Bowl champion team his rookie season. In 2008 he signed with the New Orleans Saints, where he played for three years, including as a member of the team that won the 2009 Super Bowl. When Gay entered the courtroom, his suit was a little looser than Vilma’s and Evans’s had been. He wore a bright orange tie, but the knot was slightly askew. He gave Vilma a brief but nervous smile as he passed the plaintiff’s table. When he raised his right hand for Judge Berrigan to administer the oath, it trembled. “I’ve gotten to love them both,” Gay answered. I started to feel anxious for Gay. He seemed ill-fitted to the setting. There was that loose suit and askew tie. Then there was the hand tremor, which was continuing, and the inconclusive almost-grins. Something seemed not quite right for him. I quietly rooted for him to calm down. Williams soon gave up on his direct examination of Gay. Gay looked relieved when Judge Berrigan told him he was excused from the stand. He practically ran out of the courtroom. Between my fourth diagnosed concussion and the fifth one, twenty-four years passed. In the interim there were plenty more hard hits. My junior year of college, there was the collision on U.S. Highway 231 just south of Sylacauga, Alabama. I was driving my then-new girlfriend, Nicole, and two more friends up to hike and camp on Mount Cheaha. It was a crisp day. “Bela Lugosi’s Dead,” by Bauhaus, was playing on the car stereo as we approached the intersection with Alabama Highway 38. We had a flashing yellow light and the cross-traffic on Highway 38 had a stop sign and flashing red, so I didn’t come off the accelerator much as I saw an ivory-colored Nissan Maxima approach on 38 and slow down. When the Maxima suddenly sped into the intersection, I had no time to stop, and we t-boned it hard. The police report estimated from the short length of the skid marks that we likely hadn’t slowed below fifty miles per hour before the impact. Despite the seatbelt, I spider-webbed the windshield with my forehead. But the initial pain I complained about in the ER was my shoulder where the seatbelt had dug in, and my knees, which had left two holes in the dashboard. Those pains faded quickly, but I suffered headaches for several weeks. Then there was the summer trip to the beach a decade later. We’d rented a house on Dauphin Island. I woke up at daybreak one morning to the sound of waves crashing. I’ve always loved body-surfing, and the break that morning was irresistible. Long, steady, four-foot faces, curling east to west, one after another, a low-pressure system somewhere out in the Gulf. Without waking anyone else in the house, I slipped into a swimsuit and swam out to where the bigger waves were breaking. I waited until the perfect wave stood above me, its front crest teetering, ready to crash down. I dug hard with my arms and kicked out in front of the wave to match its speed, was swept up to the top, and felt the curl start to rumble beneath me. I tried to hold my body stiff and stay on top, but found myself suddenly out too far, my upper body in mid-air, and then the wave threw me down its face, the whole weight of it crashing down and pile-driving me head-first into the sandy bottom. As my face dragged against the sand, I began to see silver stars at the periphery of my vision before I lost orientation. Seconds later I was at the edge of the surf-zone. My head was pounding. My face stung. I put my fingers up to my right forehead and temple, then brought them out to where I could see them. They were covered in blood. After a few minutes of sitting there, I went up to the house and admired my bloody, scraped-up face in a mirror. I was proud of that one, in the stupid way you can be when you’re only freshly into your thirties, and forgot completely about the headache. Several years later, about to turn forty, I was less stupid about my health. I was going for bike rides in the mornings before work. On one ride, a slip of my foot as I tried to get my shoe back into the clips on the pedal after I’d slowed for a car at an intersection, and somehow, clumsily, I twisted over my handlebars and hit the pavement hard. The dumbest, simplest thing, but I was in the middle of the road with my helmet cracked in three places. I picked up my bike, waved off the motorist who had just gone through the intersection, and went and sat on the side of the road for a few minutes. Then I got back on my bike and turned around and went back home, abandoning the rest of my ride. I felt a little fuzzy as I tried to put thoughts together, and wondered if a hit hard enough to crack my helmet may have done worse damage on the inside, but after a few days I felt fine and forgot about it. After Gay’s testimony, the hearing moved through testimony from the Saints’ interim head coach, Joe Vitt, and defensive players Scott Shanle, Sedrick Ellis, and Jonathan Casillas. The final player to be called to the stand was Roman Harper. From the moment he entered the courtroom, he was on a different level than the other players who’d testified. Other than Gay’s tremulous appearance, the rest had been competent and on-message, but they seemed like what they were, football players in a courtroom. It wasn’t their natural element. But Harper was as at ease walking into Judge Berrigan’s courtroom as he was blitzing opposing quarterbacks from his safety position. Other than Gay, the other players had worn well-tailored but largely conservative attire, had spoken precise answers in restrained voices. Harper entered the courtroom in a powder-blue suit, wide lapels, and an open-collared shirt. But where that could have come off as too casual for a courtroom on other people, or even costume-ish, on Harper it looked sharp. Put together. When he answered questions, he spoke in a loud but relaxed voice that included everyone in the courtroom in the tale he had to tell. I somehow felt for the short time he was on the stand as if we were buddies. He didn’t smile out of nervousness, or out of some conspiratorial camaraderie with Vilma, or to curry favor with the Judge or the lawyers. He smiled because he was confident and because he was happy in his space. “Where did you play college ball at?” Williams opened up his direct examination. “University of Alabama, 14-time National Champion,” Harper answered. Williams dove into the line of questions about the inherently violent nature of the game, but as they moved through the testimony, Harper rejected the word, “violent,” and tried to get those in the courtroom to understand the game as both a brotherhood—among both teammates and opposing players—and as a response to what the crowd demanded. “Yes, sir, it’s pretty brash. The thing is, when you are younger, you can try and motivate guys, ‘Hey, guys, if we win this game, let’s go to McDonald’s. Let’s go to Pizza Hut.’” Harper flashed a smile, and everyone in the courtroom suddenly remembered their own childhoods and team trips to McDonald’s, possibly even if they had never played a team sport. Harper continued, “And then as you get older, those same things don’t matter anymore. You have to take care of your body. Nobody wants to get excited about McDonald’s. You can always go buy McDonald’s. That’s not going to be the same case. Then as you get older, college, it’s more about the buckeye on the helmet or a different stripe or different things, you know, getting out—girls. You know, they get girls if they make big plays and things like that that enthused other guys. “You often have good friends, sometimes very close friends on opposing teams, right?” Williams asked. By the beginning of 2013, I was wearing thin. At work, the Vilma litigation had taken as many twists and turns as a Barry Sanders touchdown run, and we were awaiting a ruling from the court on motions to dismiss Vilma’s lawsuit; while at the same time our other cases were going full-tilt. In late August 2012, I’d added going-back-to-school to my full-time law practice, starting in the MFA program at the Creative Writing Workshop at the University of New Orleans. On the home front, our third child, Lucie, was nearing ten months old and proving to be much more energetic than her brothers had been at that age. On January 17, 2013, Judge Berrigan issued an order dismissing Vilma’s claims, bringing that litigation largely to a close. I began to look forward to a retreat with my writers’ group at the end of the month to a cabin in some low mountains in Tennessee. On January 31, the day we left on our retreat, the copy of Rolling Stone that arrived in my mailbox and that I threw in my bag with my other books and writings contained the story, “This is Your Brain on Football,” by Paul Solotaroff. Solotaroff’s story detailed the horrors of repeated head trauma, which can result in a condition known as chronic traumatic encephalopathy, or “CTE.” According to Solotaroff’s article, CTE develops as small clumps of brain cells essentially short out, then begin poisoning other clumps of brain cells, with disastrous effects—depression, mood swings, violent outbursts, and suicide, or, in other cases, an eggshell-headed victim where one insignificant-seeming bump to the head can lead to sudden swelling of the brain and quick death. The kicker is that CTE can’t be diagnosed using current scanning technologies, and can only be positively determined in a post-mortem examination of brain tissue. Suffering from the ill effects of multiple concussions, retired NFL linebacker Junior Seau committed suicide the previous spring by shooting himself in the heart, so that his brain would be left intact to be studied by researchers. I sat up a little straighter in my chair in the cabin in Tennessee as I read the rest of the article. I hadn’t experienced many of the symptoms discussed in the article, but I began to wonder. I thought I could understand my instinctive relating to Gay during the hearing the previous summer. At the same time, I took comfort that I didn’t suffer from the continuing headaches mentioned in the article, from confusion, from any of the rest of it. I was mentally sharp and had to be in order to continue as a lawyer and a writer. The night we arrived in Tennessee, it began to snow. The cabin was on a remote hillside looking down into a tight holler, a frozen creek at the bottom. Our car could only get halfway up the steep, rutted dirt drive before we had to leave it and walk the rest of the way. For three days, everything was about writing, and about being a writer in a community of writers. The stress that had been building up in me began to unwind, and I began to regain a focus I felt I had been losing. The day we left, a Sunday, the sun shone down strong and melted the snow and thawed the ice. The sky was a deep blue. I’d gotten exactly what I needed out of the weekend. I could sense there was a fragility to the peace I felt, but it was peace nonetheless. We said good-bye to those in our group who had come from other places, and our New Orleans contingent, five of us, began the eight-hour drive home. In Warrior, a town in north Alabama, we stopped at a Jack’s Hamburgers for a quick lunch. It had warmed into the low 50s, and there were some tables outside, each one topped with a red fiberglass canopy with a scalloped edge, shaped to look like a jaunty umbrella to shade the table. Inside, the restaurant was chaotic, and the peacefulness I’d left Tennessee with began to ebb. There was a Twilight Zone feel to the place. All the customers were scrubbed clean and dressed well, and all seemed to be carrying bibles, as if we’d just walked in at the end of a church meeting. They gave us strange looks. We were scruffy, for sure, after three days in the cabin. The two males among us needed a shave. I sensed distinct distaste on the faces of several of the other restaurant patrons to see our group all together. I ordered my food first. It was hard to get the order in because the restaurant manager was yelling abusively at the counter clerk for getting a previous order wrong. By the time I got my food, I wanted nothing more than to get out of that restaurant, so I headed for the door to the outside seating area. I slipped open the door and aimed for one of the tables, focusing only on the table and on putting my tray down and on being out of that place. I didn’t look up at eye level to see the canopy. The hard, fiberglass canopy. I rammed the top of my head into the canopy edge, which forced me down onto the seat. I sat there, stunned, while the rest of our group came out and ate. I had a hard time focusing on their conversation. When it was time to go, I told my friend, Maurice, that I’d hit my head. I tried to laugh it off, but when he asked if I wanted him to drive, I quickly gave him the keys. I was dizzy. The rest of the drive home, whenever I started to drift off Maurice would punch me, then engage me in conversation. I remember the drive home on Sunday perfectly. On Monday, when I got up, I had a throbbing headache, radiating out from where I’d hit the canopy. I took some ibuprofen, then drove my boys to school, went to work, worked a full day, then went to fiction workshop that night, went through two and a half hours of workshop, then drove home. By all subsequent accounts, I participated fully in the day, though several people told me later that they’d noticed me wincing and grabbing my head from time to time. On Tuesday, I still had the headache, and noticed I otherwise didn’t feel quite right. I thought of it at the time as “dizziness,” but in the barrage of new terms I would learn over the next few months I would re-term the feeling as “disequilibrium.” I took some more ibuprofen, then I took the boys to school again and went to work. While sitting in a meeting around ten that morning, I had to put my head down on the conference room table. One of my partners asked me what was wrong, so I told her that I’d hit my head “the day before” and was feeling nauseated, and that the lights were too bright. I offered up no resistance when she told me she was going to drive me to the emergency room. After a consult with the ER doctor and a CT scan, it was determined I’d had another concussion, and that I was experiencing post-concussion syndrome. That was a new diagnosis for me. When Nicole came to the hospital to pick me up, I asked her if she thought I should still go to fiction workshop that night or if I should call my professor to tell her I couldn’t make it. That’s when I figured out I was mistakenly thinking it was Monday, and that I’d gone through all of the actual Monday without knowing it or remembering it. The pain grew worse each day. Light was unbearable. My appetite dropped to nil. My children’s voices were torture to me, and they’re not loud children. I couldn’t walk a straight line. I was angry often. I was angry that I couldn’t sit upright for more than fifteen minutes. I was angry when my partners told me not to come into the office. I was angry that the pain wouldn’t stop. For the next three and a half weeks, I spent my time largely in our bedroom with the lights off, my head buried under a pillow. I would try to keep up with work via email, only to learn later that my colleagues had gone to each other with emails I’d sent them, concerned over the multiple typos and lack of general coherence. Some days all I could do was sleep. Some days and nights I only slept fitfully, waking every few minutes. I missed class for the first two of those weeks, then began to go again, but Nicole had to drive me there and pick me up. When I tried to drive, I couldn’t make sense out of the lane markings on the road. When I got in to see a neurologist, he confirmed the diagnosis of post-concussion syndrome and prescribed diclofenac, an anti-inflammatory, and a series of different pain-killers until we found one that actually at least took the edge off. He also prescribed nortriptyline, originally formulated as an anti-depressant but now prescribed commonly to manage pain in patients with post-concussion syndrome. By April, I finally felt the curtain that seemed to separate me emotionally from everyone around me begin to lift. More often than not, I was mostly clear-headed again. The times I found myself searching in vain for a word or for the name of the person I was talking to began to come less frequently. By June of that year, I was off the anti-inflammatories. By September I was able to go off the pain killers except for a few days a month, and was taking only the nortriptyline on a regular basis. After a year and a half, I cut the nortryptiline dose in half. Six months later, still experiencing a few days of crippling pain every few weeks, I theorized that it would likely be better to still have occasional pain without medicine than have the same occasional pain with medicine, and went off the nortryptiline altogether. I’ve held on to the end of the prescription for the painkillers and a large bottle of ibuprofen just in case one of the bad periods gets really bad, which they do sometimes. In researching post-concussion syndrome, I’d learned that, if symptoms weren’t clear by twelve months, they would likely never fully go away. I know the pain is about to return in full force when the ringing in my ears turns up. The ensuing pain runs along two axes. Imagine a drill boring down into my head at the point of impact, extending down a couple inches. Then imagine a second drill perpendicular to that one, going in one side of my head about an inch below the top of my head, through the first axis, and out the other side. And then it radiates from there. Sometimes disequilibrium comes with the pain. Sometimes nausea. My old bouts of depression feel more ominous. I continue to blank on words and names from time to time, some times worse than others. I’ll forget conversations. It’s been two and a half years now. Even this far out, I had a three-day episode last week that was almost as bad as the immediate aftermath of the concussion. Stress—common, of course, for litigators and graduate students—can trigger the worse headaches, or sometimes they just come with no precursor. The rest of the time I have a constant low-grade ringing in my ears and a background amount of pain. The only alternative to living with the pain is not-living with the pain. Through all of that, through the paranoia about CTE, I wonder if I’ll end up like Randall Gay. Through no athletic heroism of my own, through no gladiatorial exploits or brotherhood-protecting machismo, but essentially through plain high-spirited living combined with a propensity to klutziness, I know about the misery and mystery of the multiply concussed brain. I think about Harper’s explanation of football players’ gladiator approach to wanting to give the crowds what they scream for, voluntarily subjecting themselves to the hard hits they know are coming, and I wonder if my own hard hits—knowing full well what has come before—aren’t any less voluntary. These choices we make. On a recent trip back to Dauphin Island, I had my two boys—now 12 and 9 years old—out in high surf with me. It was those long, straight sets again. I was teaching them how to ride the waves. They would emerge from the tumbling foam, a whoop on their lips and a soreness in their bones, and would swim back out into the break with me. I’ve let them try out soccer, too. It didn’t take with my older son. My younger one, though he’s not very good at it yet, seems to love the sport. And my little girl, now 3, is following up behind them. I wouldn’t deny any of them these things I love about living. But I wouldn’t—I won’t—let any of them play football. I recognize my hypocrisy and the fundamental contradictions. Is this just another symptom? Cloudiness of brain, cloudiness of heart? All of us, including my youngest, yell for the Saints on Sundays—“Go Saints! Get him!” Our lusts, our adulations, our living. The following articles were relied on by the author to corroborate his recollection about the New Orleans Saints’ “bountygate” investigation, and to confirm details regarding the players involved: Larry Holder, “New Orleans’ Saints bounty scandal timeline as Sean Payton prepares for return,” NOLA.com (Aug. 30, 2013); Mike Triplett, “NFL’s evidence against New Orleans Saints is legitimate, but it won’t end the debate,” NOLA.com (June 18, 2012); “Saints Agree to Terms with Randall Gay,” NewOrleansSaints.com (March 2, 2008); Jim Kleinpeter, “Former LSU, Saints Cornerback Arrested,” NOLA.com (May 9, 2013); and “Randall Gay among latest ex-players to sue NFL,” Associated Press (July 20, 2012). The “bountygate” litigation in the United States District Court for the Eastern District of Louisiana fell under the caption of Jonathan Vilma, et al. v. Roger Goodell, et al., 12-CV-1283 c/w 12-CV-1718 & 12-CV-1744. The Temporary Restraining Order hearing occurred on July 26, 2012. The excerpts from that testimony contained herein are taken from the transcript prepared by official Court Reporter Toni Doyle Tusa, CCR, FCRR. Rolling Stone magazine’s coverage of football’s concussion issues, relied on by the author here, include Paul Solotaroff, “This is Your Brain on Football,” Rolling Stone, Issue 1175 (Jan. 31, 2013); and Matt Taibbi, “The NFL’s Head Game,” Rolling Stone website (Sept. 12, 2012). The author also relied on the following additional sources in research for this piece: Eckart Kohne, et al., Gladiators and Caesars: The Power and Spectacle in Ancient Rome (Univ. of Calif. Press, 2000); Peter Rudegeair & Sharon Begley, “NFL’s Junior Seau had brain disease from blows to the head,” Reuters (Jan. 10, 2013); and Tim Anderson, et al., “Concussion and mild head injury,” Practical Neurology (Nov. 23, 2006), 6:342-357, at p. 354. After that season, I was more tentative on the field for a few years, mostly riding the bench on my high school team, before I found my spirit again and made the team at Spring Hill College my freshman year. In the final practice before our first game, I broke my ankle. I spent the next four years helping to bring a tough and all-in brand of the game to four intramural championship seasons, that first year as a hobbled coach and the last three years as a player-coach. After college, I played in any pick-up games I could find for a few years and in intramural leagues again when I was in law school. “Bela Lugosi’s Dead” was on a mix-tape I’d made a few weeks earlier. Something occurred during the wreck that left a glitch in the mix-tape at the moment of impact, such that for about five seconds in the middle of the song, the tape plays the music on the opposite side backwards before “Bela Lugosi’s Dead” comes back on. Every time I listen to that mix-tape (now ripped into my collection of .mp3s on my iPod, with the glitch intact), I recall that moment of impact. These three incidents weren’t the extent of my non-diagnosed head traumas. I’m constantly forgetting others. In proofreading an early draft of this piece, a close friend reminded me of another time when I hit my head on a low roof overhang at a lodge during a writers’ conference in Petit Jean, Arkansas in 2011 (I was dancing, badly), and wandered off into the night, where he and some others found me lying on the ground an hour later. There’s also the time I hit my head on the edge of the roof of a golf cart I was trying to jump on during the 2013 Louisiana Book Festival in Baton Rouge, trying to hitch a ride down to the book tent from the main venue at the state capitol. There may be other times I’m not recalling, as well. The point is, I’m extraordinarily clumsy, and often don’t account for where my head is in relation to other objects. It’s downright embarrassing. Of the witnesses who testified that day, only Coach Vitt remains with the New Orleans Saints currently, as the Assistant Head Coach and Linebackers Coach. 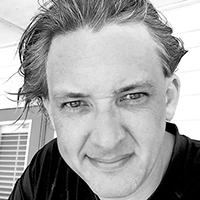 Tad Bartlett’s writing has appeared or is forthcoming in print or online at the Oxford American, The Carolina Quarterly, Euphony Journal, The Rappahannock Review, Bird’s Thumb, The Subtopian, and Double Dealer, among others. 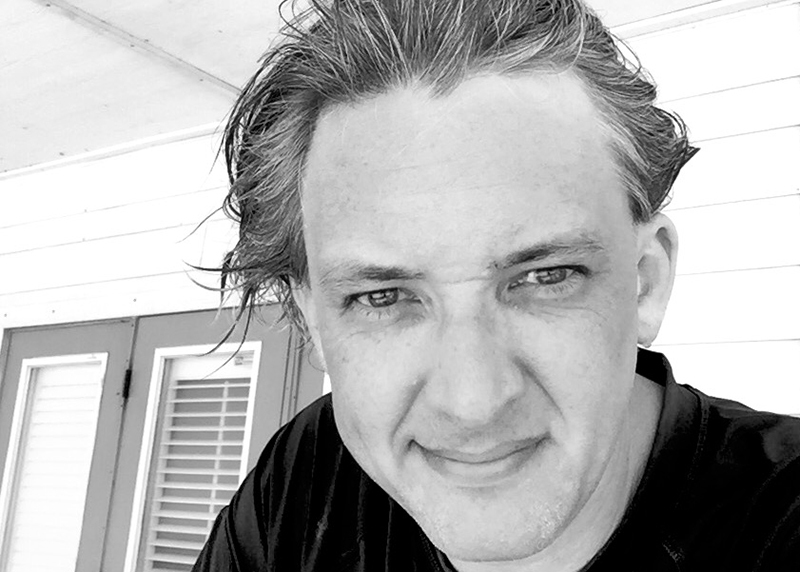 He’s earned an MFA in fiction at the Creative Writing Workshop at the University of New Orleans; and is a graduate of Spring Hill College in Mobile, Alabama, and Tulane University Law School. He is a founding member of the Peauxdunque Writers Alliance.